Why install CCTV in your home? Firstly let’s cover what CCTV stands for, CCTV is abbreviated from closed-circuit television and is a television system which can be monitored by private individuals rather than being publicly. When delving into the world of CCTV there are two common types of camera, analog and IP. What’s the difference between IP and Analog? Analog cameras have been around for years and are traditionally the form of recording which most businesses and individuals will use. They will record video output over coax or UTP cabling into the digital video recorder (DVR) and this is then stored onto hard drives. 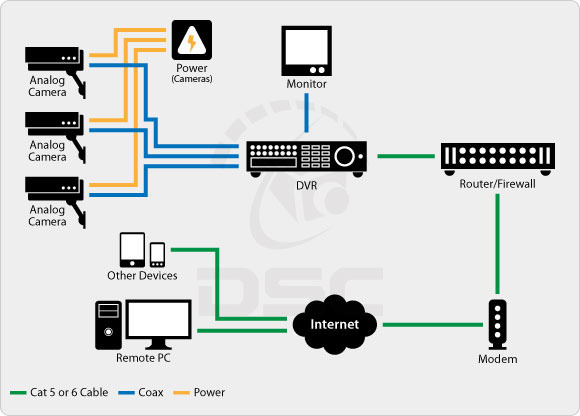 IP cameras broadcast their video over an IP network as a digital stream and is then stored onto a DVR just as analog would. 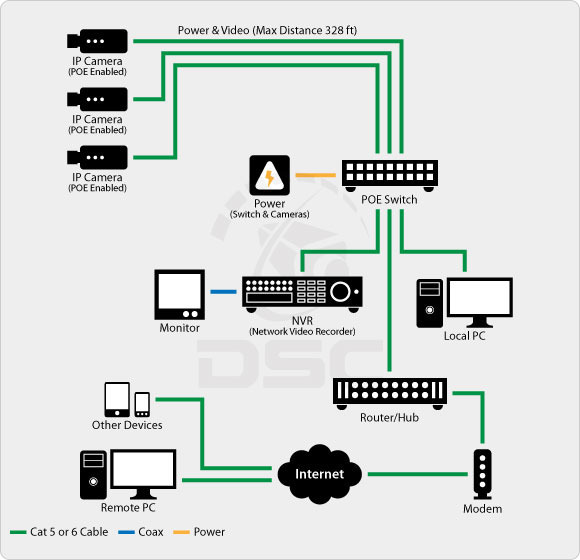 Although IP cameras are generally more expensive, the video is streamed over IP networks it forces higher quality images and more flexibility as to how and where the video is recorded. For more information on how modern CCTV works click here. So why install CCTV into your home? The increase in UK based domestic CCTV is dramatic and it all comes down to CCTV being more affordable, effective and readily available. There are huge benefits to installing CCTV in your home and we think these can be listed in four key bullet points. It will come as no surprise that when a CCTV camera is pointing directly at your front door, burglars will be less likely to risk entering the property. Yet a lot of homes won’t think to install CCTV even though as mentioned before, it is so readily available. Surveillance systems are able to identify intruders / suspicious characters and will allow you enough time to notify the authorities before they break in. Although not a security risk, with safety in mind we can use CCTV to remotely monitor our loved ones and ensure they are safe and secure without physical presence. With potential dangers unfortunately being so frequent, we can allow space without fully leaving our family unsupervised. When you look into installing CCTV into your home, you may get carried away with the amount of cameras, accessories, products and alarms. This is a great thing and potentially expensive thing to do. Ensuring everything works cohesively and covering every entrance of your home can ensure the security of your worldly possessions. These extra precautions will not only benefit your security, but will benefit you financially as this will be reflected in your monthly premiums when taking out buildings and home insurance.